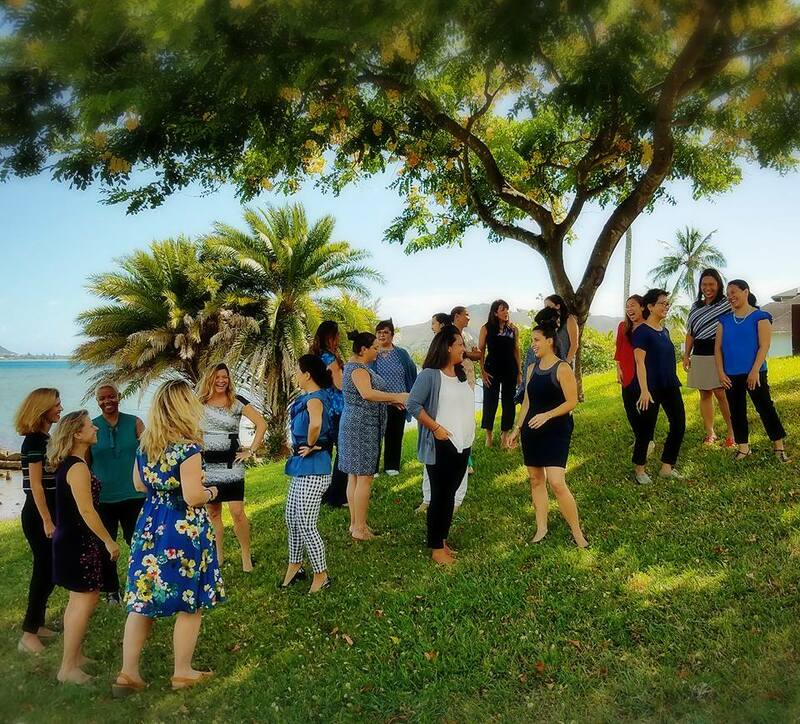 The Patsy T. Mink Center for Business & Leadership (MCBL) at YWCA O‘ahu has launched the second cohort of their Leadership Alliance. Twenty-two outstanding women from a variety of industries were selected to participate in the program, which aims to further develop management and leadership skills in an effort to increase the representation of women executives in Hawai‘i. The future Mink Leaders began an intensive 10‐month program that will culminate in a community service capstone project and graduation ceremony in June 2018. Session topics will include Strategic Planning, Emotional Intelligence, Social Capital Building, Principles of Negotiation, Financial Business Acumen and Intrapreneurial Thinking – a majority of which will be facilitated by prominent women leaders. A big mahalo goes to the signature sponsor for this second cohort, Kaiser Permanente. Participants have already attended the first two sessions in the series. On September 8, the official launch and orientation session was held at YWCA O‘ahu’s beautiful Kokokahi facility, with a class on Group Facilitation. On September 18, the Alliance visited YWCA O‘ahu Fernhurst to learn about the many programs that are dedicated to empowering and supporting women transitioning out of prison, with the goal of successfully reintegrating these women into the community and reducing recidivism. Next month, cohort members will attend Hawaii Business Magazine’s 10th annual Wahine Forum, Hawai‘i’s largest leadership and career development conference for women. With a theme of “Work Together, Rise Together,” this year’s Forum will feature more than 20 speakers, with a keynote address by Miriam Hernandez-Kakol, U.S. Service Line Leader for Customer and Operations, KPMG. MCBL, along with YWCA O‘ahu, are special partners with Hawaii Business Magazine for the Wahine Forum Conference. The Patsy T. Mink Center for Business & Leadership was established by YWCA O‘ahu, the U.S. Small Business Administration and a community of partners to become the only Women’s Business Center (WBC) in Hawai‘i. WBCs are designed to assist women in starting and growing small businesses, and seek to “level the playing field” for women entrepreneurs who still face unique obstacles in the business world. The Patsy T. Mink Leadership Alliance launched in September 2016 with its inaugural cohort of 14 women, who successfully completed the program and graduated in March 2017. The program is named in honor of Patsy T. Mink, the first female Asian American and the first female from Hawai‘i to serve in the U.S. Congress. click here to learn more about THE PATSY T. MINK LEADERSHIP ALLIANCe.